(Palm Beach Gardens, FL)— Ballet Palm Beach closes the 2017/2018 season with mixed bill A Midsummer Night’s Dream and Other Works. A Midsummer Night’s Dream, a ballet re-telling of Shakespeare’s comedy, will be presented with diverse works from Ballet Palm Beach’s repertoire. Performances are at the Eissey Campus Theatre at the Palm Beach State College on Saturday, May 5 at 7:30 pm and Sunday, May 6 at 4pm. A Midsummer Night’s Dream turns the beloved Shakespeare’s comedy of love triangles and magic into a one act ballet, perfect for families of all ages. Mendelssohn’s music beckons audiences to the Athenian woodland where fairy capers pose hilarious results for unsuspecting mortals. McKeely Borger plays the mischievous Puck. The bickering fairy royals, Queen Titania and King Oberon and will be danced by Lily Ojea Loveland and guest principal dancer, David Ward. Hailing from England, David Ward trained with the English National Ballet School and went on to be a soloist at the Northern Ballet in Leeds, UK and most recently BalletMet. Opening the mixed bill is Balanchine’s charming Who Cares? presented in its concert version. Set to music by George Gershwin, the ballet evokes the exuberance of New York City with romantic pas de deux, syncopated group numbers, and virtuosic solos. In addition, Ballet Palm Beach presents works from their eclectic repertoire. Saint-Saëns Suite, a neoclassical work choreographed by Artistic Director Colleen Smith, aims to embody Saint-Saëns’ sparkling music while showcasing the versatility and strength of the company dancers. Space Between Words, set to music by minimalist composer Arvo Pärt, is an intricate, contemporary-styled piece by local choreographer, Donna Murray. Tickets can be purchased online at balletpalmbeach.org or by calling the Ballet Palm Beach box office at (800) 297-8309 or (561) 814-5598. Group of 12 or more get a 10% discount upon calling the box office. Student discounts are also available. Ballet Palm Beach, the professional ballet company of the Palm Beaches and Treasure Coast, is a nonprofit 501(c)(3) ballet company dedicated to preserving the art of classical ballet by cultivating new visions in choreography, impacting the next generation through the discipline and power of dance, and enriching the community through this universal art form. Established in 2001, the company has become a fixture in Palm Beach County. Each year BPB produces four main stage productions as well as outreach performances throughout the community. 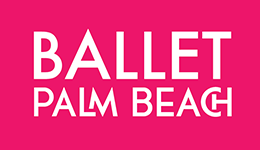 For more information about Ballet Palm Beach call (561) 630-8235 or visit www.balletpalmbeach.org. A Midsummer Night’s Dream re-imagines Shakespeare’s comedy of love triangles and magic, featuring guest dancer, David Ward of BalletMet. In addition, Ballet Palm Beach will present Balanchine’s Who Cares? and other works. For tickets, call 1-800-297-8309 or visit www.balletpalmbeach.org. balanchine Ballet dancer David Ward Donna Murray Eissey fairies Lily Ojea Loveland Mendelssohn Midsummer Night's Dream Oberon Puck shakespeare Titania who cares?